Concordia’s co-operative student housing complex is behind schedule but not in jeopardy, despite trouble obtaining a construction permit from the Plateau-Mont-Royal borough, according to Laurent Levesque, the general coordinator of the Unité de travail pour l’implantation de logement étudiant (UTILE). The building, to be located on Papineau Avenue across the street from Lafontaine Park, was initially supposed to have a facade made of steel, wood and brick. 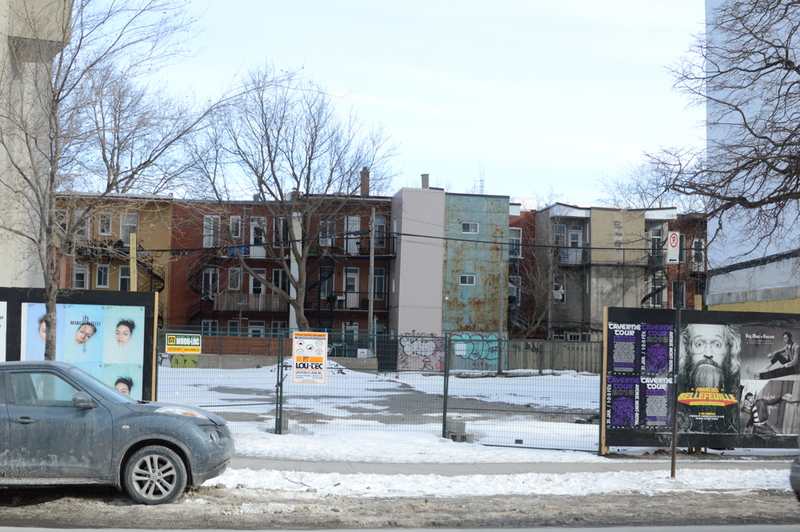 The Plateau-Mont-Royal borough has since requested that the facade be redesigned to be made entirely of brick before the construction permit is delivered. The problem is that an entirely brick facade will increase the cost of the project by about $200,000. At a regularly scheduled Concordia Student Union (CSU) council meeting on Jan. 24, general coordinator Omar Riaz told council the price increase could jeopardize the project. “Right now, we don’t have room for the $200,000,” he said. However, Levesque has since told The Concordian that UTILE is working with the architect and the borough to find a solution. “The situation isn’t as dire as it seems. We’re working on ways that it’s not going to jeopardize the project,” Levesque said. According to their website, UTILE is a non-profit organization that aims to develop and promote co-operative student housing in Quebec. The group is working in conjunction with the CSU on this project, which is meant to provide affordable housing for Concordia students. Levesque said the project is on track to be completed and ready for students to move into by the summer of 2019. Last year, Levesque told The Concordian the complex would be opening in June 2018. According to Michel Tanguay, the communications director for the Plateau-Mont-Royal borough, the borough is asking the CSU to simplify their building concept. “The borough approved the project in 2017, but the architecture has to be revised before the permit is delivered,” Tanguay wrote in an email to The Concordian. Students voted in favour of partially funding the project in a 2015 CSU referendum. Funding for the co-operative also comes from government bodies, like the city of Montreal, and the Chantier de l’économie sociale. If the delay continues, Riaz said, it will be a problem not just for the CSU, but for everyone who financed the project. “It’s a $14-million project. I don’t think anyone will let it fail,” he added. Once completed, the building will have approximately 70 units, most of which will be studio apartments, although there will be a few larger units that will be shared. The CSU Housing and Jobs Office (HOJO) will be responsible for administering housings vacancies and finding tenants.